Camp Workcoeman opened on 5 July 1936 with a new camp director, Council Executive Palmer Liddle. 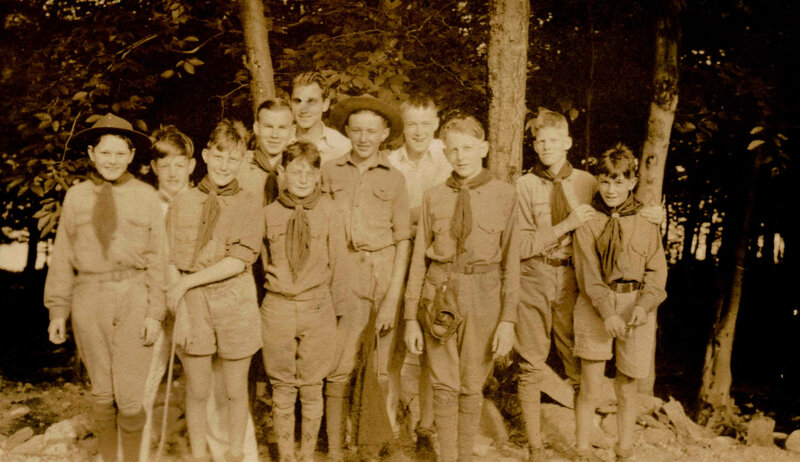 The new executive had taught canoeing at Spruce Ridge Scout Camp, and worked within program and in administration at Camp Roosevelt and Camp Syracuse. Liddle was not hired for his camp experience, but more likely for his successes in growing rural troops. The previous executive, Edward Jacot, had built up a strong organization in Torrington, and to a lesser extent in Winsted, but the troops in the farm communities were relatively small. On the other hand, Liddle had a good deal of success in bucolic organization in the Onondaga Council and the Orange-Sullivan Council. At Workcoeman in 1936, Liddle expanded the camp program to a full week, with Scouts entering and leaving camp on Sunday afternoons. However, Liddle maintained most of the traditional activities, such as the Thursday evening campfires. In practice, Clarence Rosenbeck, Aquatics Director since 1932, was in charge of the program. Rosenbeck emphasized sports and aquatics, and the boys competed against the best of Camp Sequessen on Thursdays. The extended schedule allowed for the return of a hiking program, and during the lightly attended week one, the campers and staff went on a fourteen-mile hike. Meanwhile, Palmer Liddle focused on administration and facilities. The Northern Litchfield County Council had been talking about expanding the dining hall for more than six years. Over those years, the council set aside small sums of money, but not nearly enough for a substantial construction. The 1936 council fund drive had come up short, which after several years of depression seemed normal. However, 1936 was the first year that Gross Domestic Product was on par with 1929 levels. A new executive and economic recovery might bring the rapping of hammers back to the woods near West Hill Pond. The image below shows Troop 2 Scouts at camp during the mid 1930s.